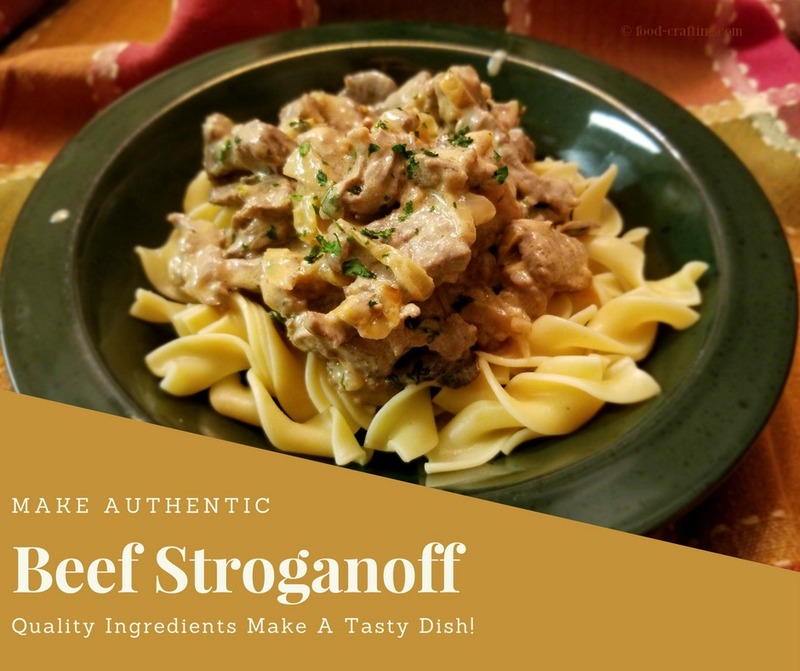 Russian Beef Stroganoff Recipe – Buy the best and freshest ingredients and you will be rewarded with incredible layers of flavor. A Russian Stroganoff recipe is made of tender strips of seared beef, gently combined with mushrooms and onions sautéed in butter. Mix in a rich cream sauce with a hint of sherry and serve over buttered noddles. It will become the dish set aside for special occasions – like milestone birthdays! 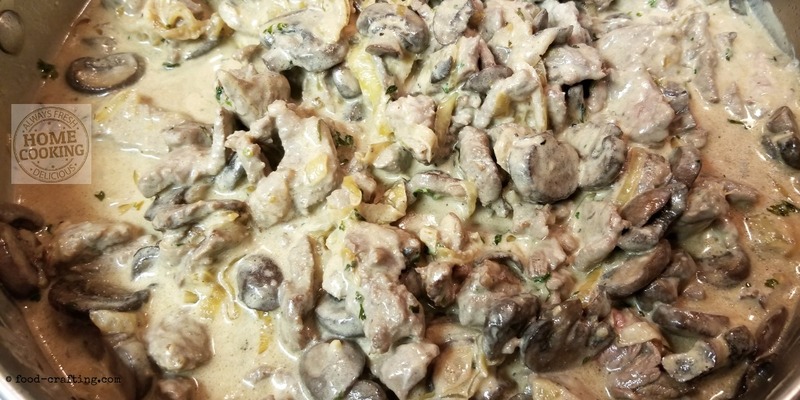 For many years, home was close enough geographically to be able to savor the traditional, authentic flavors of a Russian Beef Stroganoff recipe. It is the type of dish that is not easily dismissed as local fare – it has that kind of a reputation. It’s special – even there. And to us, Russian beef Stroganoff is as memorable as the massive bowl of Italian minestrone we always ordered when in Trieste, Italy. My mind retains surprising memories of the food we ate in different countries on different continents. Decades later, this is one dish I can still taste. 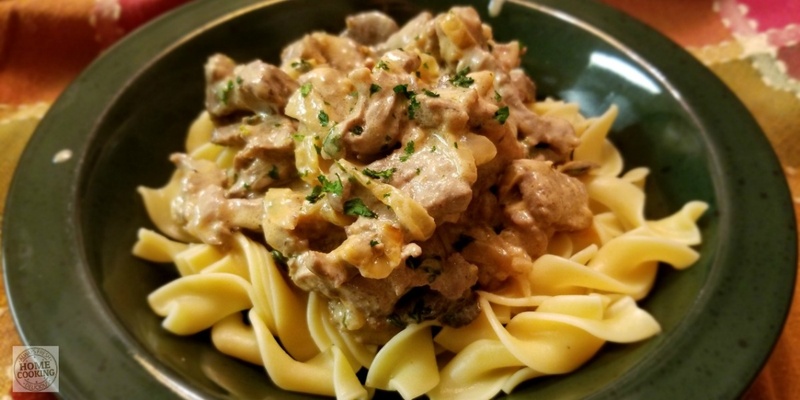 There are many variations of the recipe for Beef Stroganoff but make it this way just once and decide which recipe you want to add to your stash of recipe clippings. 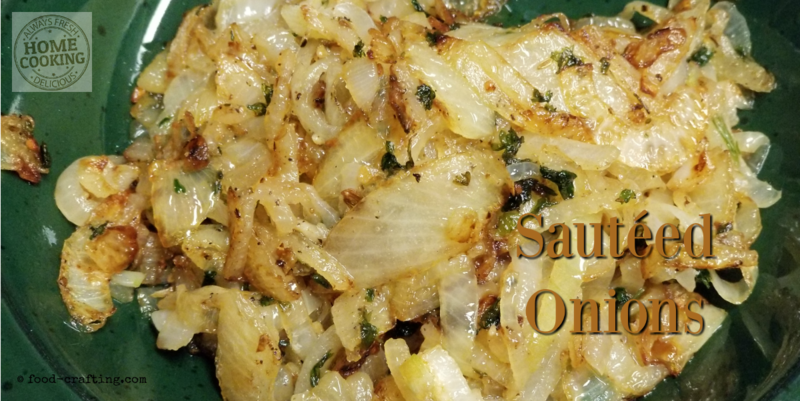 There are three primary ingredients to this recipe – the superior quality beef, fresh mushrooms and firm onions. Buy the best you can find. But the recipe is not complete without the addition of the few remaining ingredients. I keep cooking sherry in the pantry but a regular dry sherry works too. For this recipe, I had a 16 oz. container of Baby Bellas (small portobellos) but you can substitute them with sliced white button mushrooms. Ordinary or spicy yellow “hot dog” mustard just does not pack enough of a punch for this dish so “Pass the Grey Poupon©” or buy the smallest jar of Dijon style mustard (not the “country style” made with coarse mustard seeds). The mustard needs to be smooth,zesty and made with white wine. If low-fat dairy is on your diet, perhaps you can make an exception – just this once. It makes that much difference. Use Tomato Paste Not Sauce or Ketchup! Ah, the dilemma of tomato paste! How many times have you opened a small can of tomato paste and used the entire contents? I rarely use the entire can in a recipe unless I am making spaghetti sauce from scratch. A few years ago, I found tomato paste in 2 ounce packs. Perfect! It has since vanished from supermarket shelves. Now I keep a tube of tomato paste in the fridge. 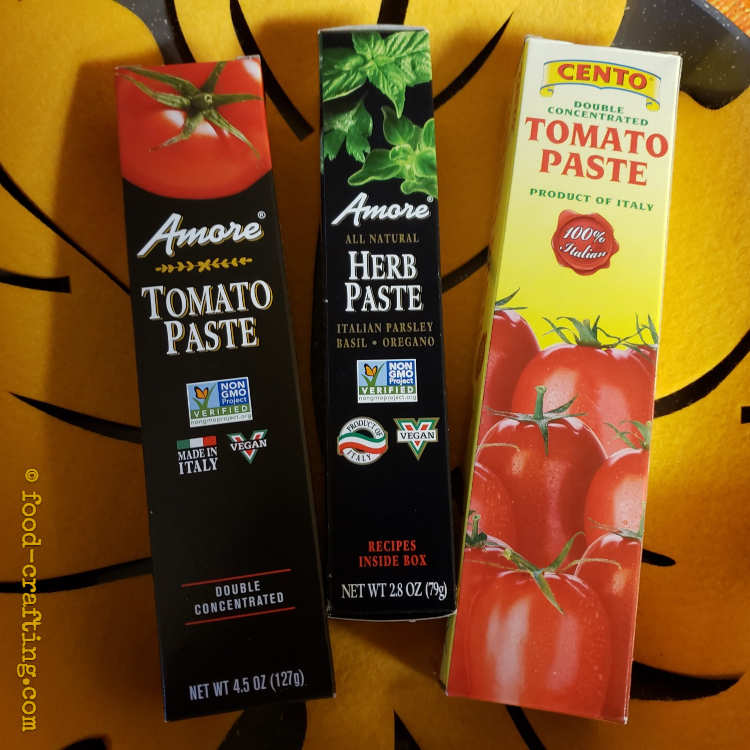 Tomato paste tubes are available in the”Italian” section of most supermarkets with the pasta and pasta sauces in jars. I highly recommend you do not prepare this beef Stroganoff recipe with ketchup. Ketchup is a purée of tomatoes blended with vinegar, onions and herbs best used as a condiment. Tomato paste is a thick concentrate of tomatoes usually added with a liquid to flavor a recipe. How Often Do You Use A Whole Can Of Tomato Paste? 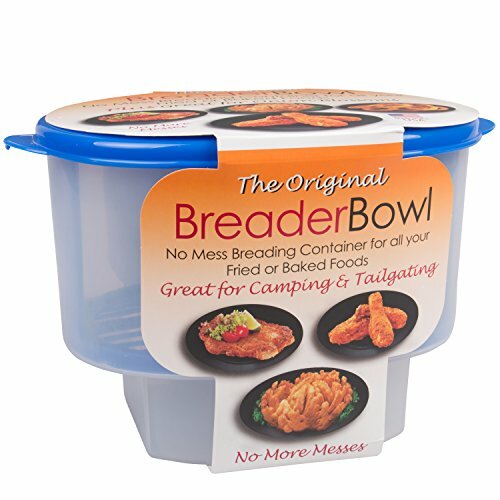 Freeze It In Recipe Ready Portions! For this recipe we can’t substitute tomato paste with tomato sauce or ketchup. It only requires a heaping tablespoon of paste so how can we avoid the waste? So why not freeze the rest of the tomato paste? That is easy to do with the use of silicone ice trays. Even an old ice cube tray will do. Spray the cavities with olive oil and fill with any remaining paste. Freeze until solid then store the cubes in a zip lock bag. 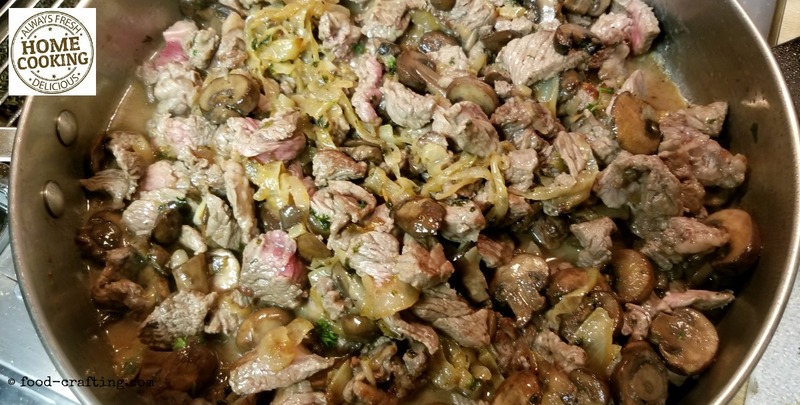 This Russian Beef Stroganoff Recipe is prepared with strips of seared beef, gently combined with mushrooms and onions sautéed in butter. The main ingredients are combined in a rich cream sauce with a hint of sherry and serve over buttered noodles. Preparing the ingredients is the most time consuming part of this recipe. My personal preference is not to freeze the meat so that it is easier to cut. Why? Once frozen, the meat cannot be dried sufficiently to sear almost instantly. Believe me, I’ve tried it and the result was expensive bits of stewed beef. You can use this type of gadget to cut thin slices of frozen meat but I just make sure my knife is very sharp and I make just as sure my fingers are not in the way of the blade. Pat the steaks dry with paper towels, cut into sections across the grain and then into thin strips. Set aside. In a small mixing bowl, add the sour cream, mustard, tomato paste with some salt and pepper. Set aside. In a medium sized frying pan, add 2 tablespoons of butter to a pan, melt until foamy and add mushrooms. 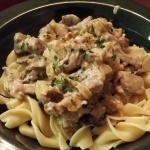 Beef Stroganoff is not an inexpensive dish. It’s the superior quality of the meat and the method that make this a near authentic recipe. 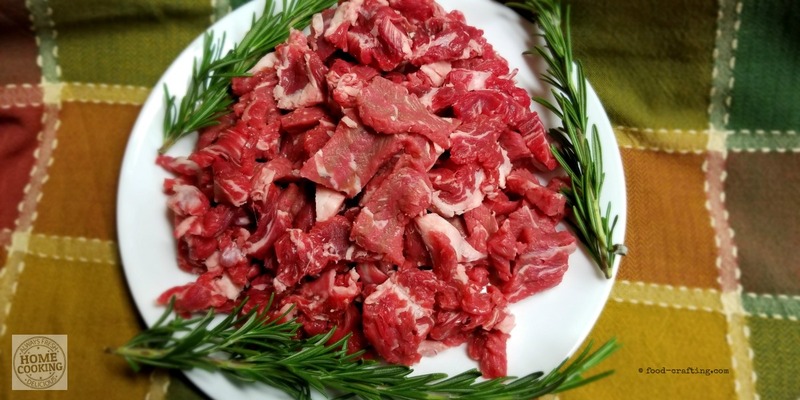 That is not to say that the dish is not tasty when prepared with ground beef but ground beef will never be steak – in flavor or consistency. You can use sirloin steak but the less tender the steak, the tougher the finished bits of meat. I sear the meat only to remove the raw taste. 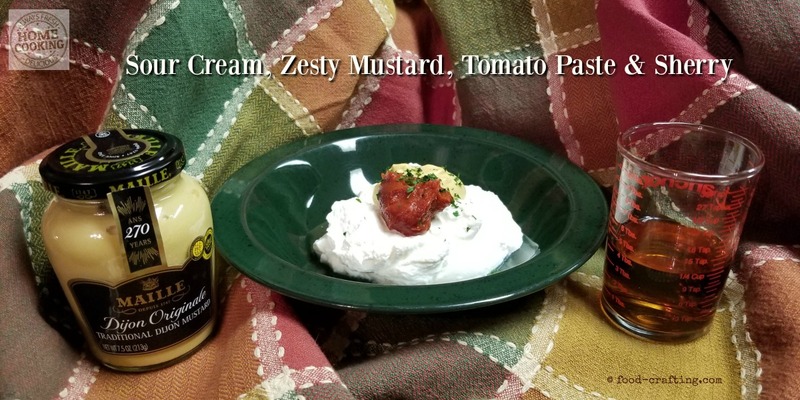 The sour cream sauce just happens to be the perfect combination of flavors to enhance each of the three main ingredients. The sauce is not prepared in large quantity and it keeps a creamy texture. There is just enough sherry to allow it to coat the pieces of steak. For a more liquid sauce, add a little more sherry or, better yet, a small amount (let’s say 1/4 to 1/3 cup) of very rich beef bouillon. Dissolve 2 teaspoons of beef soup base into hot water. To prepare this dish, you will need a couple large soup bowls when you set aside the mushrooms and onions. You will also need heavy frying pans in two sizes: a medium one to fry the mushrooms and onions and the larger one to sear the pieces of meat all at once. 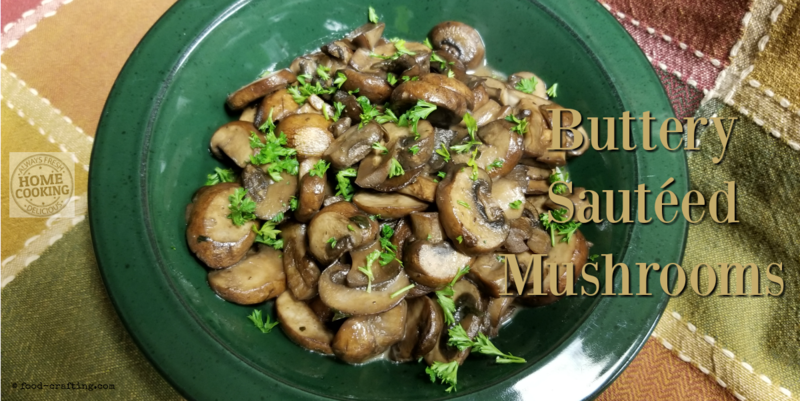 Recipes With Lots Of Mushrooms ! 2.1 Use Tomato Paste Not Sauce or Ketchup! 3.1 How Often Do You Use A Whole Can Of Tomato Paste? 5 Not An Inexpensive Dish! 6 Recipes With Lots Of Mushrooms !